For DC Comics’ same-day print-and-digital releases (i.e. most of their line), the print and digital editions line up exactly. But things get a bit confusing with their digital-first comics, because they run smaller weekly chapters online, then collect them together for the print editions. 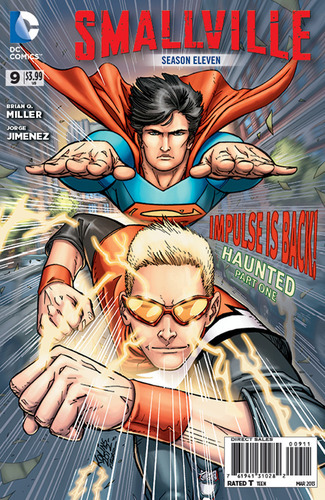 In the case of Smallville Season 11, currently running a storyline guest-starring Impulse, every three digital chapters are collected in a print issue the following month. Each digital page is the top or bottom of a print page, run landscape to make it easier to read on a desktop screen or a small tablet. The numbers get a little confusing because, starting with #28, instead of taking one week off each month to keep the print and digital runs in sync, DC started running a side story during those formerly-skip weeks, which is being collected separately. 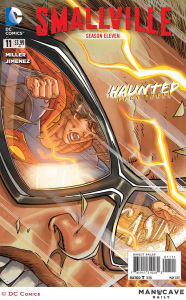 Here’s how the digital and print chapters of “Haunted” line up. 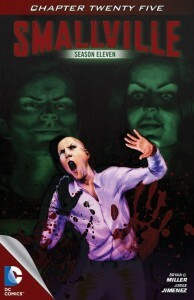 The digital covers by Cat Staggs go for a realistic look and focus more on the TV show’s cast. 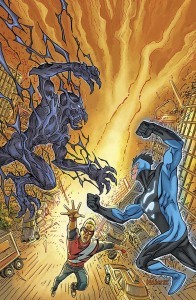 The print covers by Scott Kolins go for a more stylized, comic book look, and focus more on the guest star and super-heroic elements. 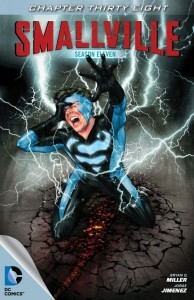 This suggests to me that DC is aiming the digital editions at fans of the TV series and the print editions at more traditional comic book fans. It certainly makes sense — by numbers alone, a lot of people who watched Smallville don’t read comics, and it’s going to be easier to get them to buy online than walk into a comic store. I really wonder what DC’s market research has turned up as far as the digital/print audience breakdown. 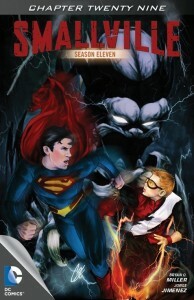 This entry was posted in Flash News and tagged Bart Allen, Cat Staggs, Digital Comics, Haunted, Impulse, Scott Kolins, Smallville, Superman on March 5, 2013 by Kelson. 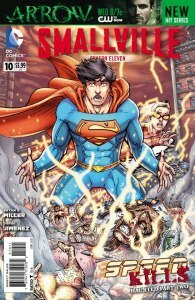 This entry was posted in Flash News and tagged Bart Allen, Brian Q. Miller, Impulse, Preview, Scott Kolins, Smallville on December 13, 2012 by Kelson. Flash/Impulse in Smallville Season 11? 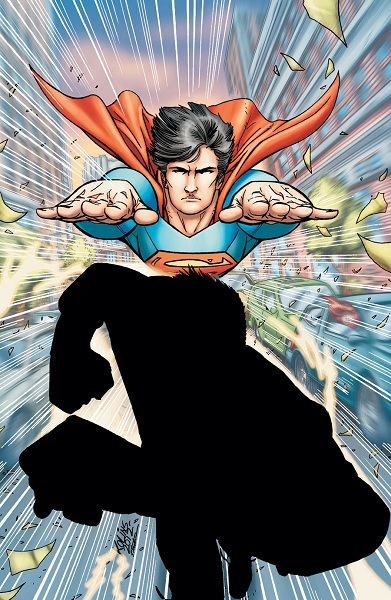 It seems kind of silly putting a question mark in the title, but really, who else is an old friend running with Superman going to be? The first time in print for these digital-first stories. An old friend returns to the series with a new look. What terrible secret is he carrying? 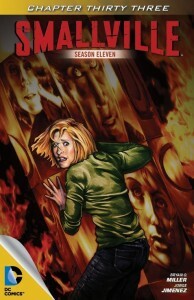 The secret of “Earth Two” Chloe is revealed. This version of Bart was a troubled teen who used his speed for petty theft until an encounter with Clark Kent put him on a more heroic path. He later joined forces with Green Arrow, Cyborg and Aquaman in what became the Justice League. 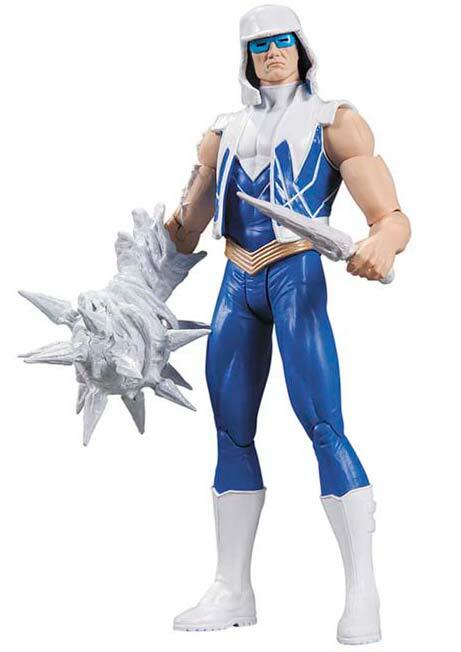 Presumably the silhouette is there to put off revealing his costume (unless DC has decided to replace Bart with Barry or something, but that seems unlikely), though it’s conceivable the “old friend” is another character entirely. I haven’t been following the series, so I’m not 100% certain how the digital/print schedule works out, but my understanding is that every three digital chapters are collected in one print issue, so we’ll probably see this story on ComiXology in December. 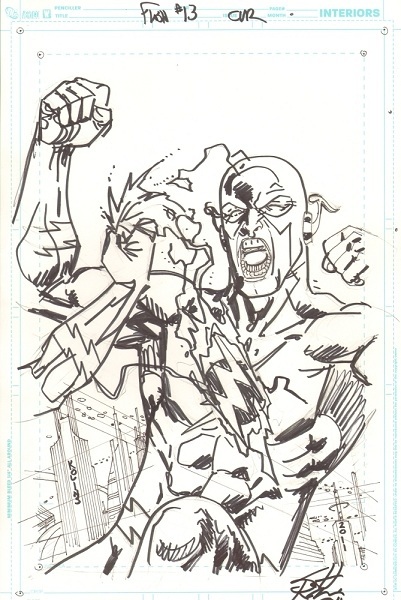 This entry was posted in Covers, Flash News and tagged Bart Allen, Scott Kolins, Smallville, Solicitations on October 15, 2012 by Kelson. Check it out at The Source! 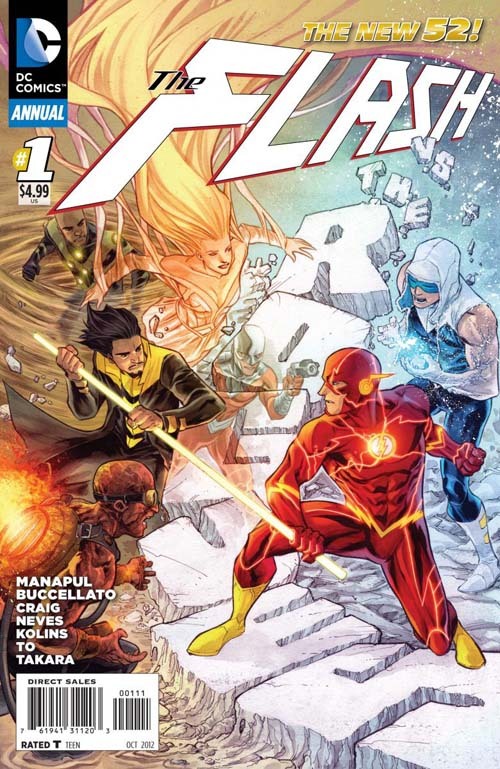 Flash Annual #1 is in stores August 29. 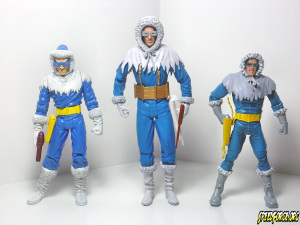 This entry was posted in Flash News and tagged Brian Buccellato, Captain Cold, Francis Manapul, New 52, Rogues, Scott Kolins on August 21, 2012 by Greg Elias.